Former Delta state governor, James Ibori was today sentenced to 13 years in prison for several corruption and money laundering charges. His sentence was delivered at the Southwark Crown Court in London, by Judge Anthony Pitts. Counsel for the accused, Nicholas Pernell, defended his client by citing several development projects which he supposedly initiated in Nigeria. He credited him with being involved with bulding of low-cost housing, banking reforms,peace in the Niger Delta, education, and and even restoring direct flights between Nigeria and Britain. Pernell, who had yesterday described Ibori as a “pioneer”, saying “everything he achieved has been threatened by the plea which he has tended”, concluded by pleading for leniency and asking the judge to consider the children of the accused, as both their parents are in police custody. Sports legend John Fashanu also appeared in court to share some of said achievements, delivering something of a controversial testimony in defence of the ex-governor. 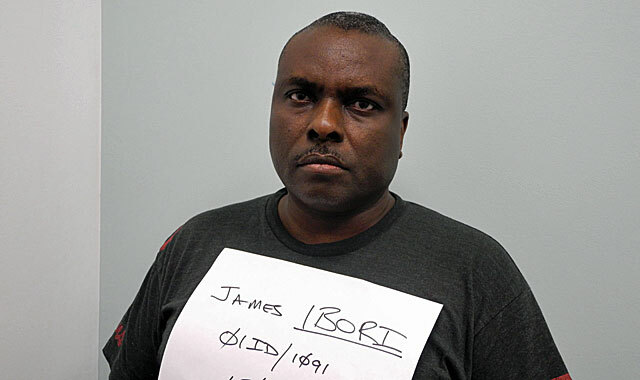 He claimed James Ibori had built 9 mini-stadia, 3 olympic sized stadia, as well as a shooting range in Nigeria. The judge stated that the sentencing would not be the end of the matter, and Mr Ibori would also have his property seized. “It is the prosecution case that during his two terms in office he deliberately and systematically defrauded the people whose interests he had been elected to represent he went on to launder the money he stole in this country,” said prosecutor Sasha Wass.